Forbes Magazine’s 2018 Blockchain Leading Social Development Evangelist, Dr Jane is a passionate advocate for digital technology’s ability to achieve social impact and improve service delivery. She has been awarded the Top 10 Digital Frontier Women and UN Decade of Women Quantum Impact Champion. 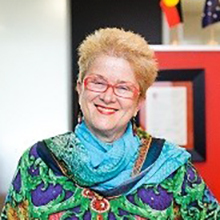 With 30 years experience in emerging economies, public health, poverty and inequality, Jane advises start-ups through to multi-national companies and INGOs on the strategic use of frontier technologies.